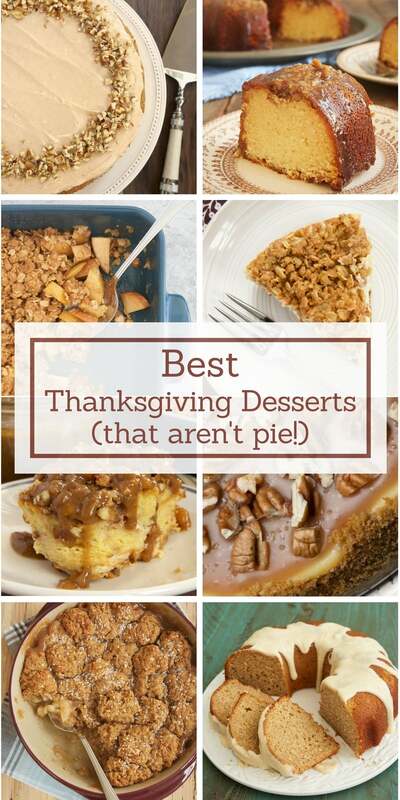 Enjoy some of BoB’s best Thanksgiving desserts! 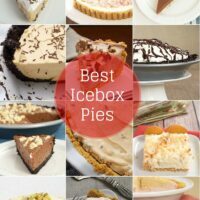 While I’m still of the mindset that Thanksgiving is primarily about the pies, I absolutely feel there’s room for some other desserts as well. It’s good to have a little variety, right? 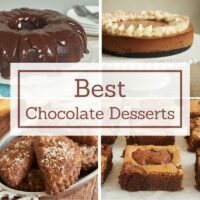 Here are some of my favorite desserts to make for Thanksgiving. I’ve got cakes, cobblers, cheesecakes, and more. There are some from way back in the archives and some much more recent. And be sure to follow along with my baking adventures for a few more dessert ideas. 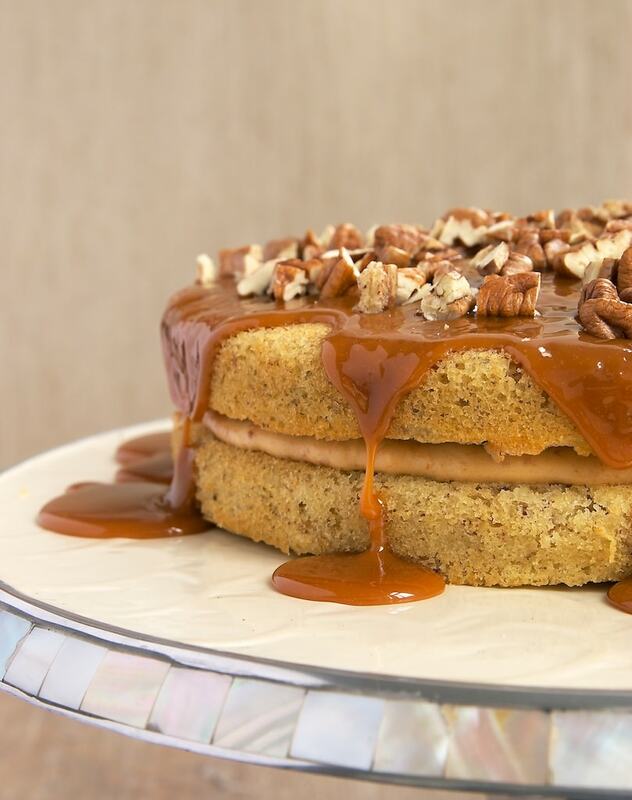 This gorgeous Pecan Cake with Caramel Mousse is definitely a dessert with a big wow factor. Granted, it’s a bit more involved than the desserts I usually make, but that makes it perfect for a special occasion. 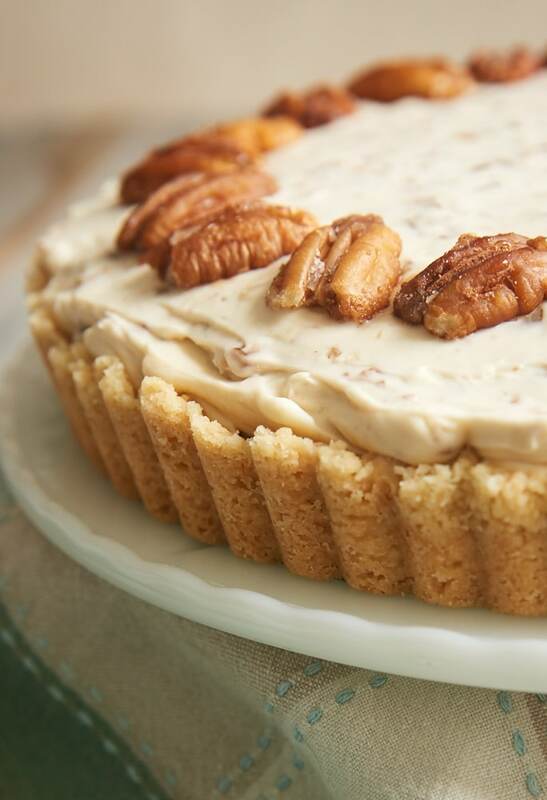 Butter Pecan Cheesecake is one of the most popular recipes I’ve ever shared on BoB. 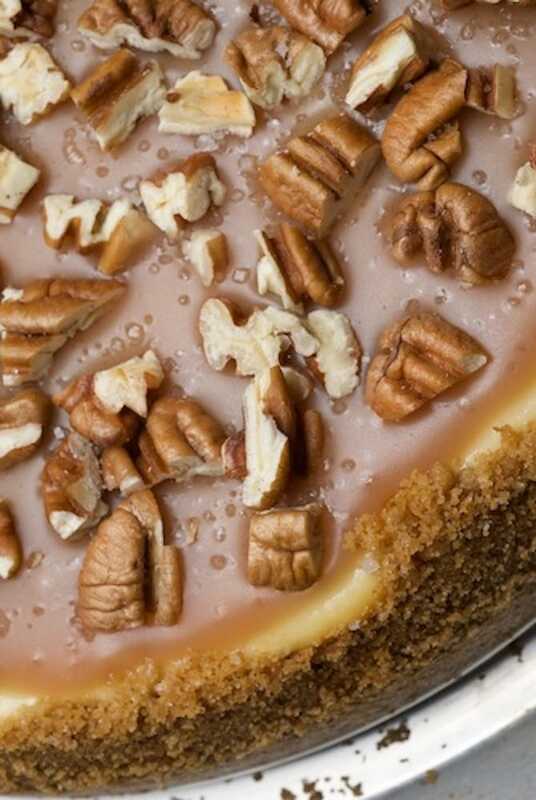 If you love all things butter pecan, then you’re going to adore this one. 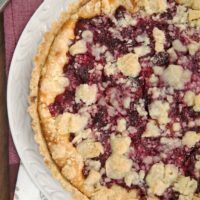 I like to make it with a shortbread crust, but you can simplify things a bit with a cookie crumb crust. Pears are one of my favorite flavors of the season, and they combine beautifully with lots of spices and a cream cheese glaze in this Spiced Pear Cake. 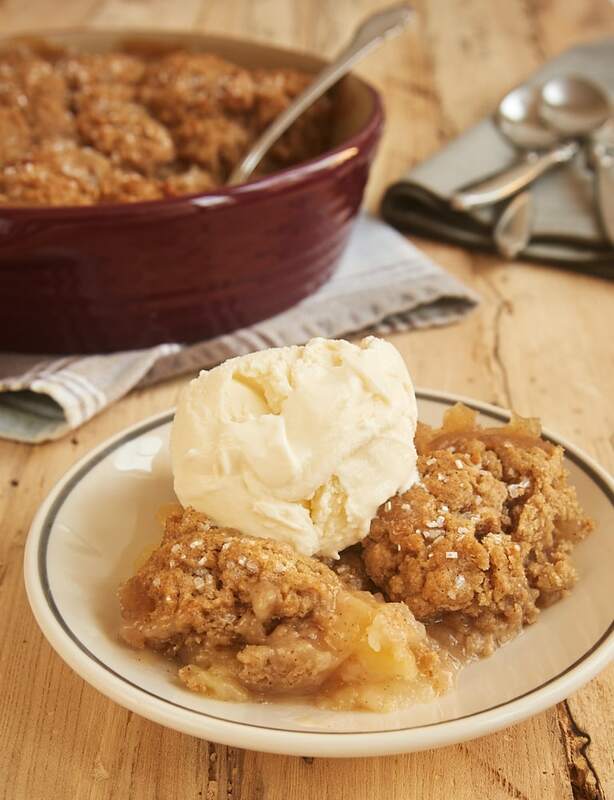 Cobblers are made for this time of year, and this Graham Cracker Apple Pear Cobbler is a fun twist with a graham cracker biscuit topping. 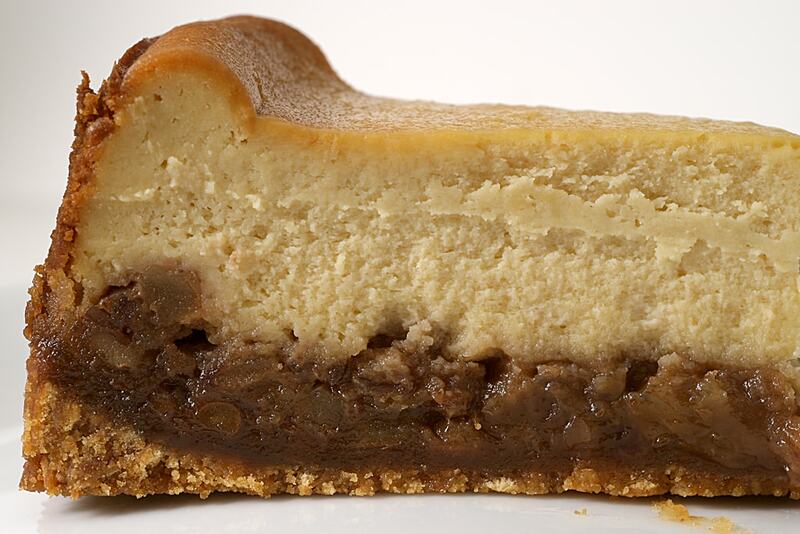 The first time I made this Pecan Pie Cheesecake was for a family Thanksgiving when I lived in Mississippi. There was a lot of clamoring for this one, with some going so far as to hide slices to take home. It’s just that good! 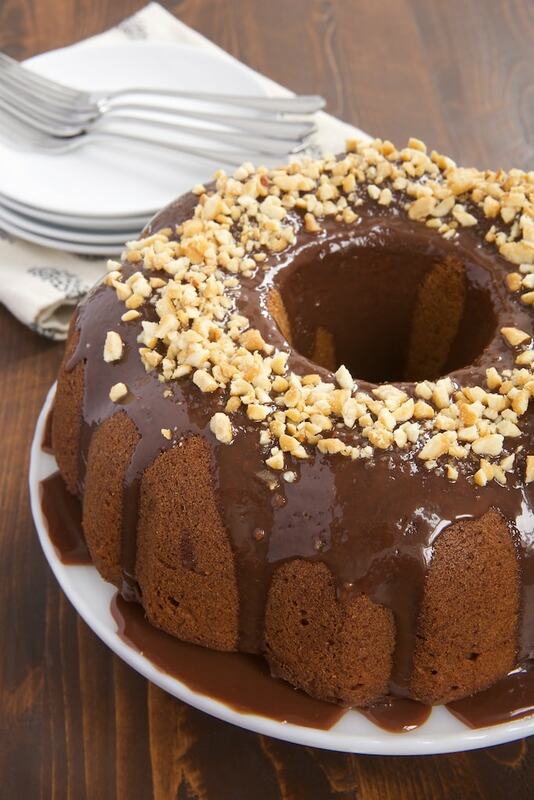 While chocolate and peanut butter may not be a classic holiday pairing, I’ll take it and this Peanut Butter Bundt Cake with Milk Chocolate Ganache any time of year. 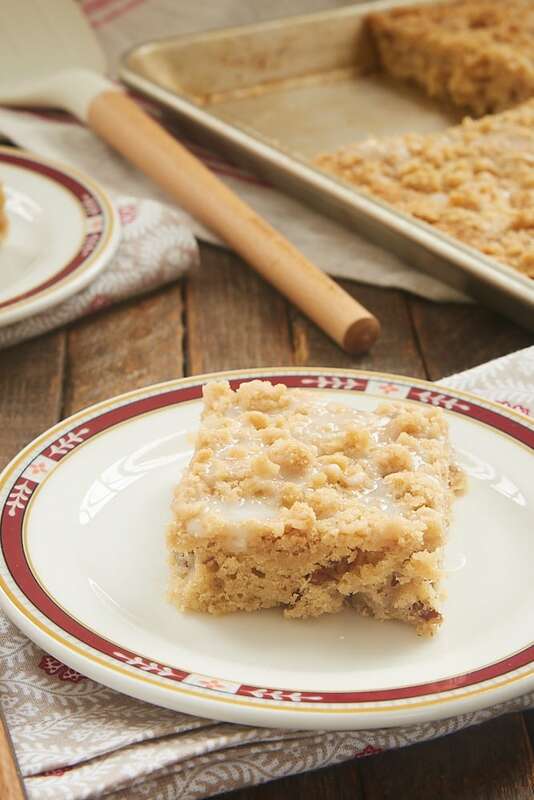 You can serve a crowd with this Apple Crumb Sheet Cake. And a very happy crowd it will be when they get a taste of this cake filled with sweet apples and fall spices! 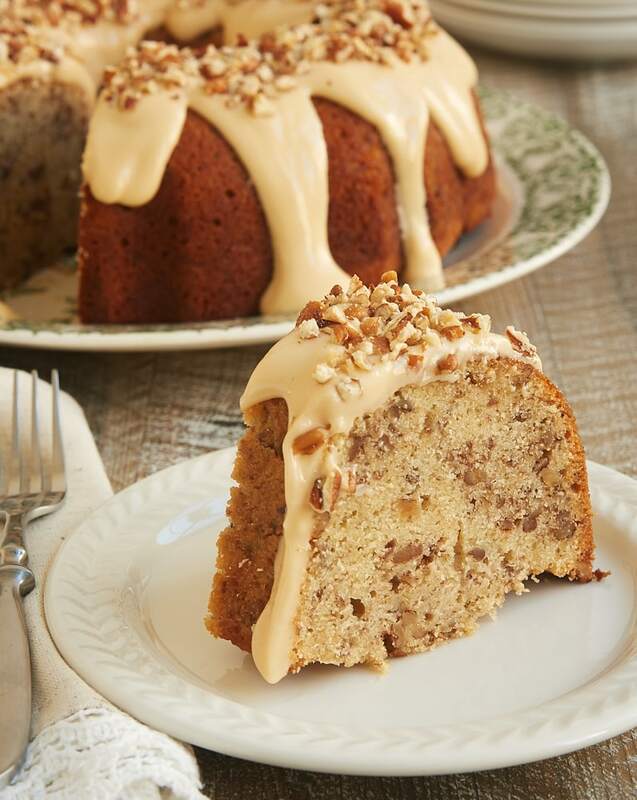 If you’re a fan of nutty desserts, you must try this Toasted Pecan Bundt Cake with Caramel Cream Cheese Glaze. And that caramel glaze is just the best! 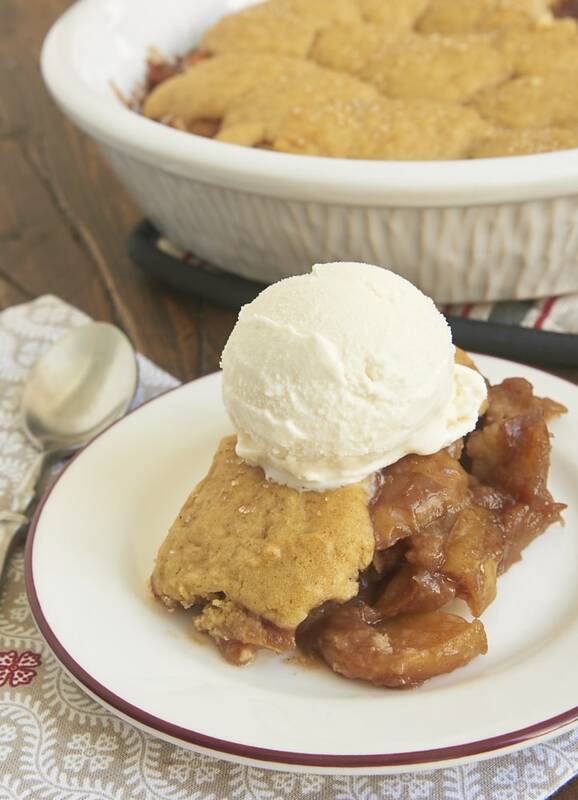 Caramel Apple Pear Cobbler has plenty of great fall flavor. And I love that it works well baked in one pan or in individual portions. There’s so much more to cranberries than cranberry sauce. 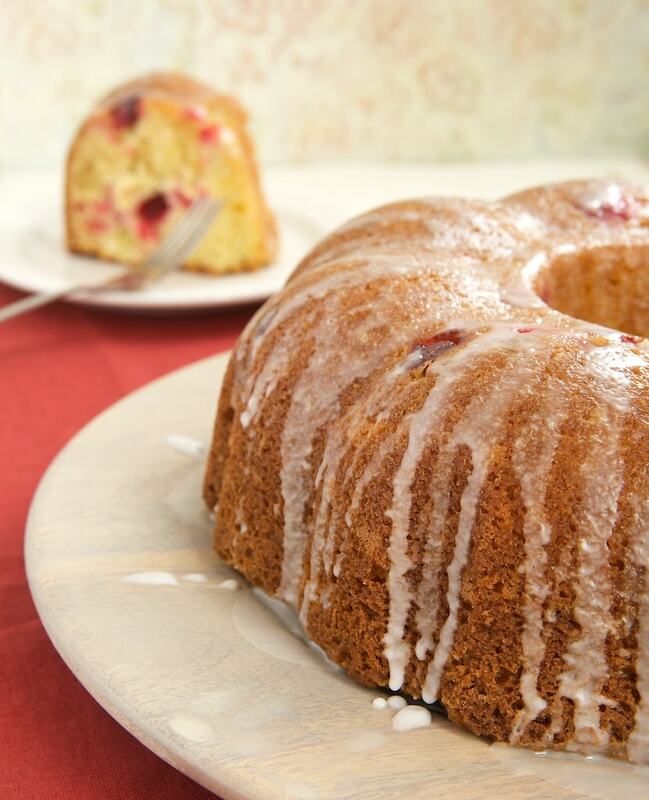 This Cranberry Bundt Cake combines cranberries with a bit of citrus for a sweet, tart, fantastic cake. I go a little spice crazy this time of year, and what better way to do that than with this Spice Cake with Brown Butter Frosting? 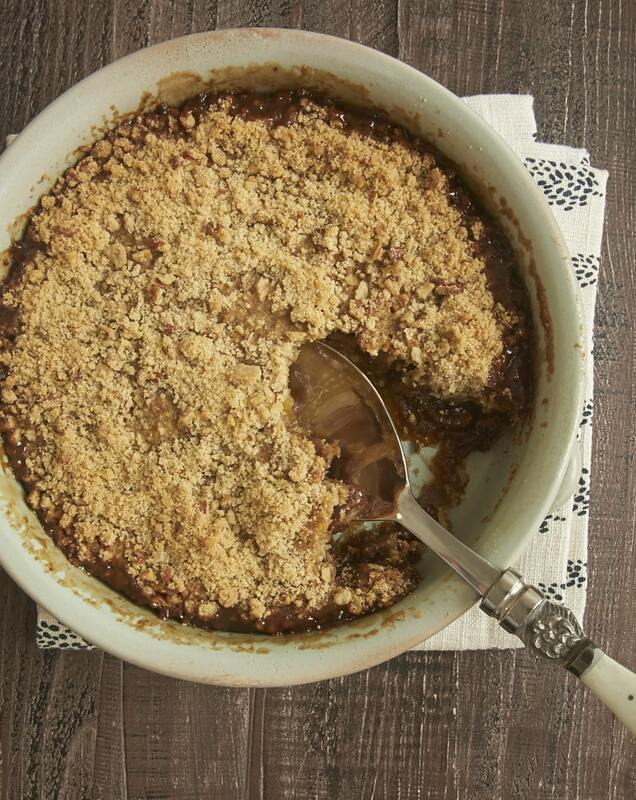 Brown Sugar Apple Cobbler is such a simple dessert but it’s just so good! 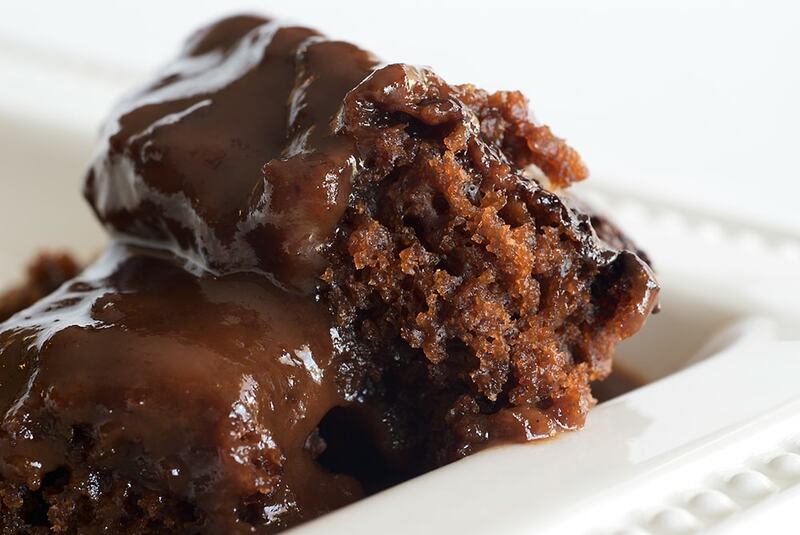 Cooking the filling on the stovetop turns it into this wonderfully gooey, caramel-like deliciousness that’s irresistible. 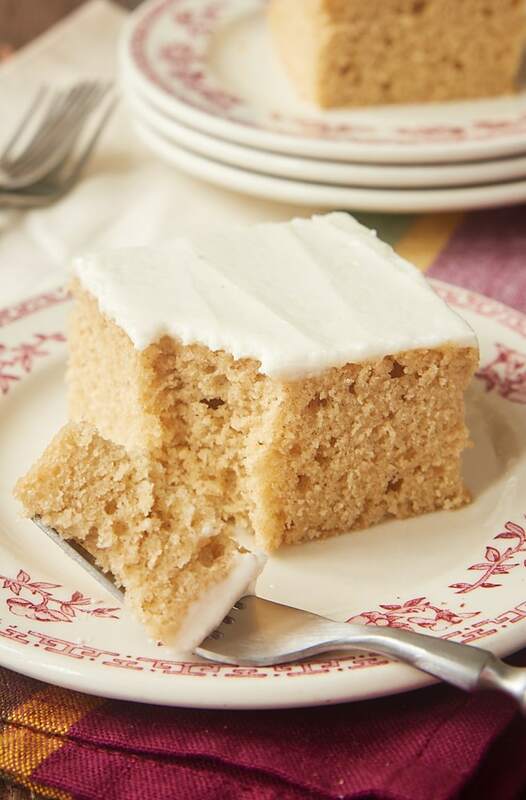 Tres Leches Rum Cake is a wonderful adults-only dessert. 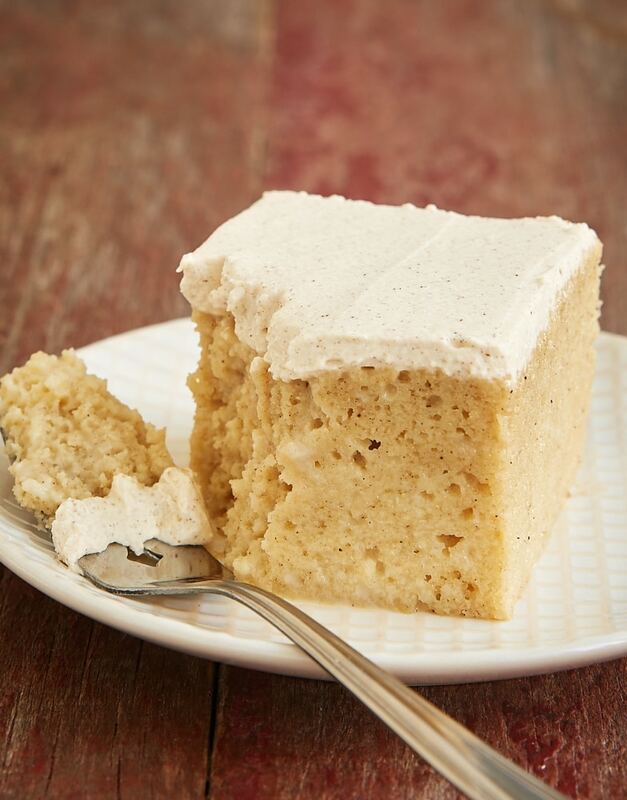 Tres Leches Cake is pretty good all on its own, but I just love that rum twist! 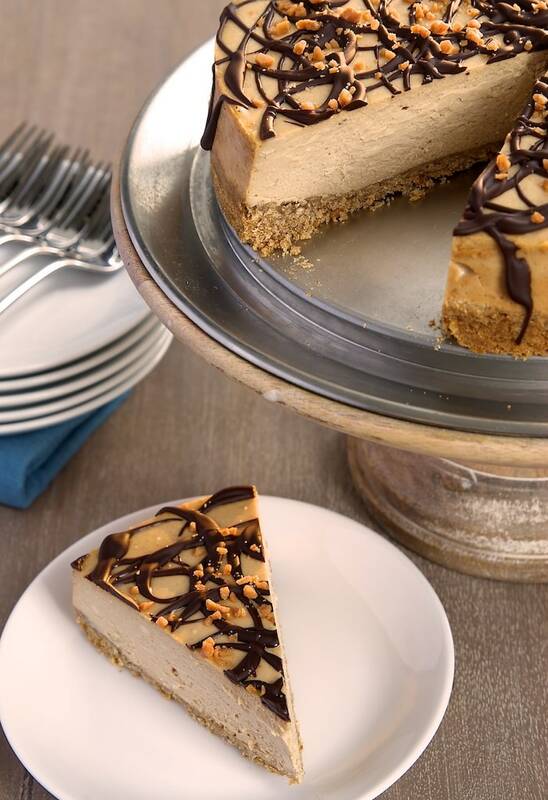 Peanut Butter Cheesecake with Pretzel Crust is one of my all-time favorite cheesecakes. The sweet and salty combo is tough to beat! 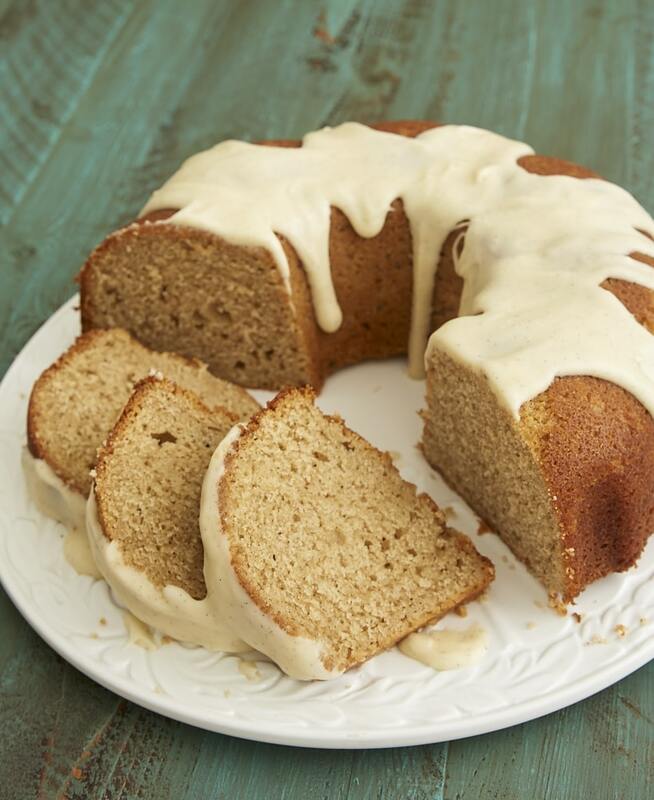 Chai Spice Bundt Cake features a tasty blend of spices with a simple vanilla glaze. It’s such a great comfort dessert! 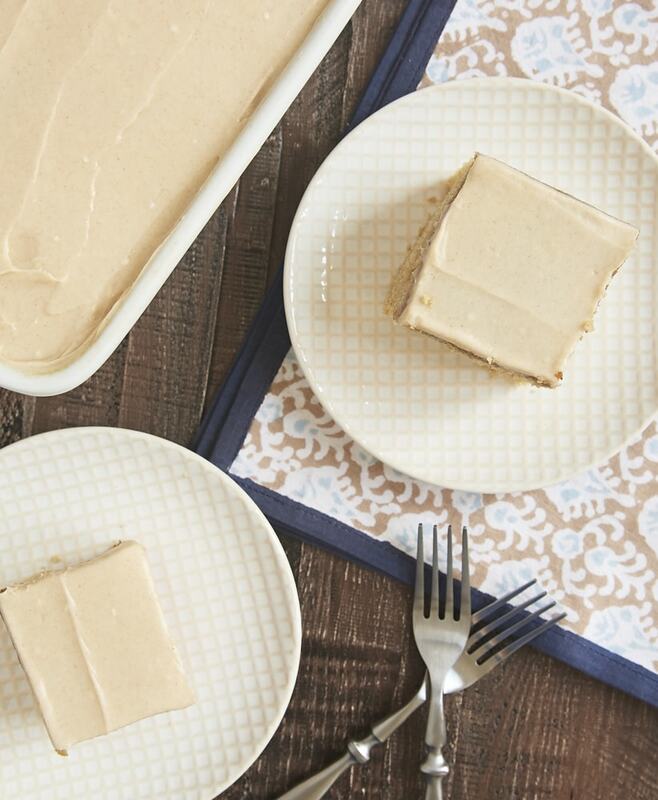 For a little more elaborate spice cake, try this Butterscotch Spice Poke Cake with its homemade butterscotch sauce and cinnamon cream cheese frosting. Yum! 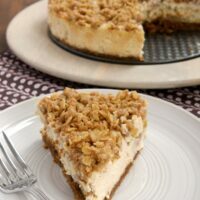 If you love all things caramel and brown sugar, then do not miss this Brown Sugar Caramel Cheesecake with Oatmeal Cookie Crust. It’s so deliciously decadent! 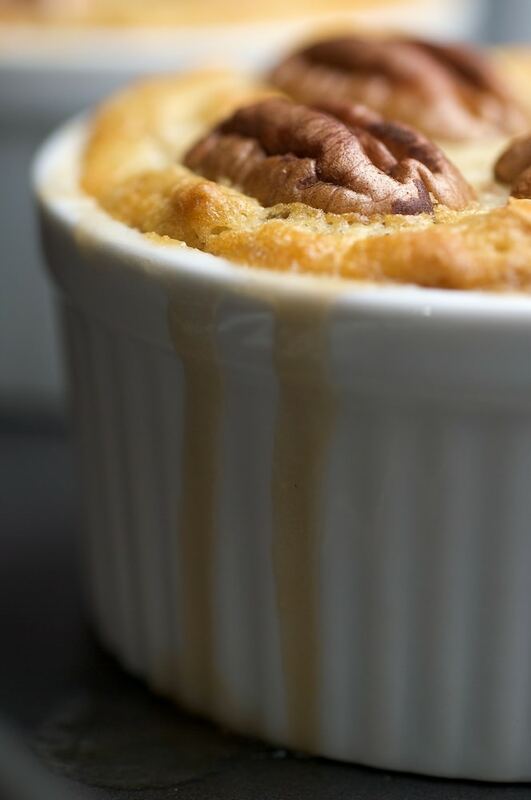 I have a long-standing love of pecans, and this Praline Bread Pudding with Caramel-Pecan Sauce is such an amazingly delicious way to enjoy them. 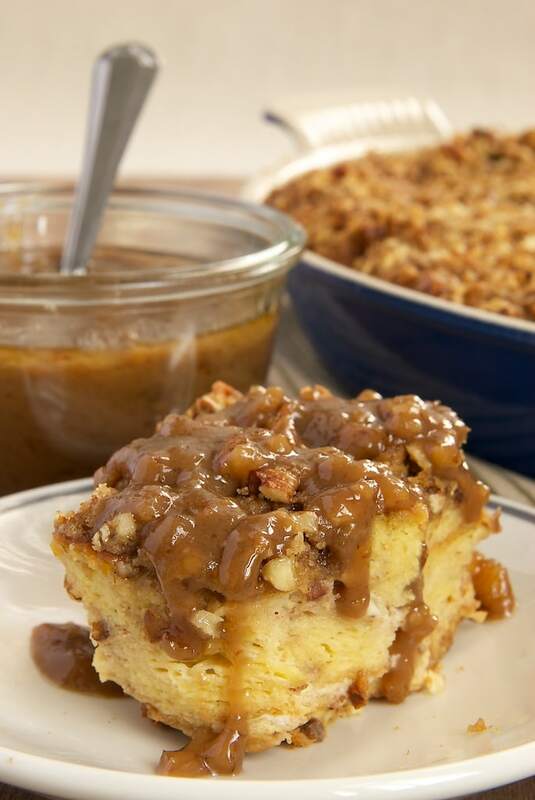 A warm serving of this with that caramel-pecan sauce is a pecan lovers dream! 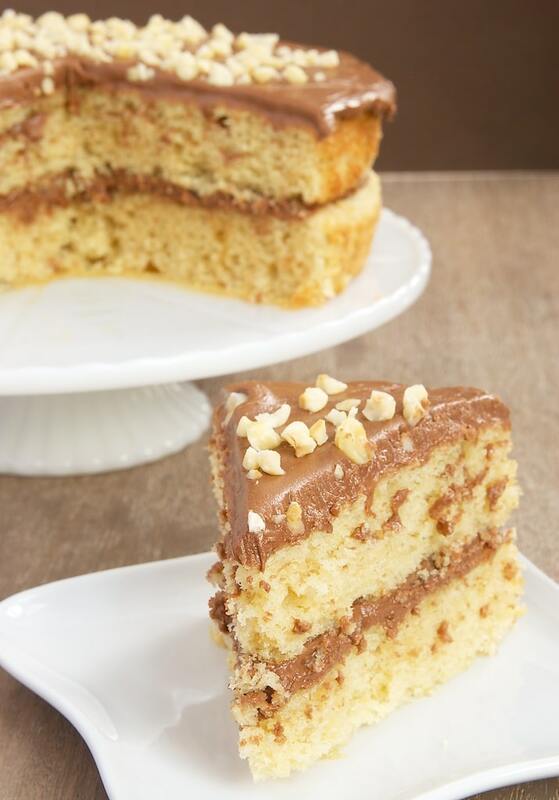 All the coffee fans out there, take a moment to appreciate this Hazelnut Cake with Mocha Frosting. I’ll admit that I don’t care for coffee, but it’s such a great combination with chocolate and hazelnuts that I can’t resist a slice of this cake! I often describe Pecan Pie Crisp as the dessert for people who always want more filling in their pecan pie. Here we skip the crust in favor of lots of filling and a simple topping. I’ll gladly throw in this Chocolate Cobbler to any discussion about what dessert to make for pretty much any occasion. It’s so easy to make and so good that it will always be welcomed at the end of a meal! 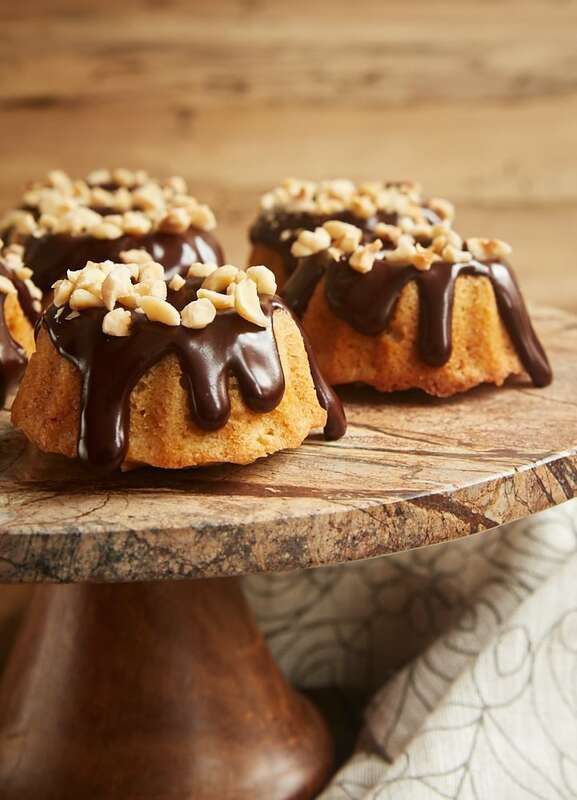 These Brown Butter Hazelnut Bundt Cakes may be small, but they’ve got big flavor. These little guys are perfect for a serve-yourself dessert option. 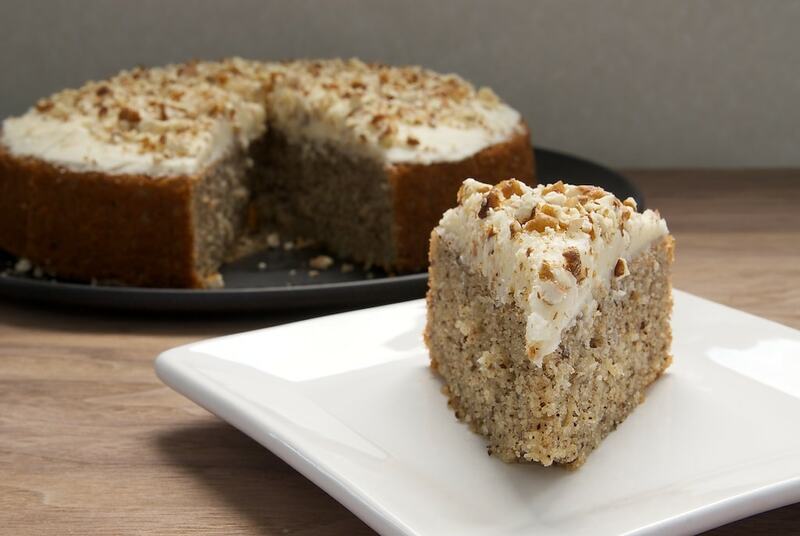 Apple Spice Cake with Cinnamon Cream Cheese Frosting is another fall favorite that seems to stay at the top of my most popular recipes. It’s a simple combination of apples, plenty of spices, and cream cheese frosting. Divine! 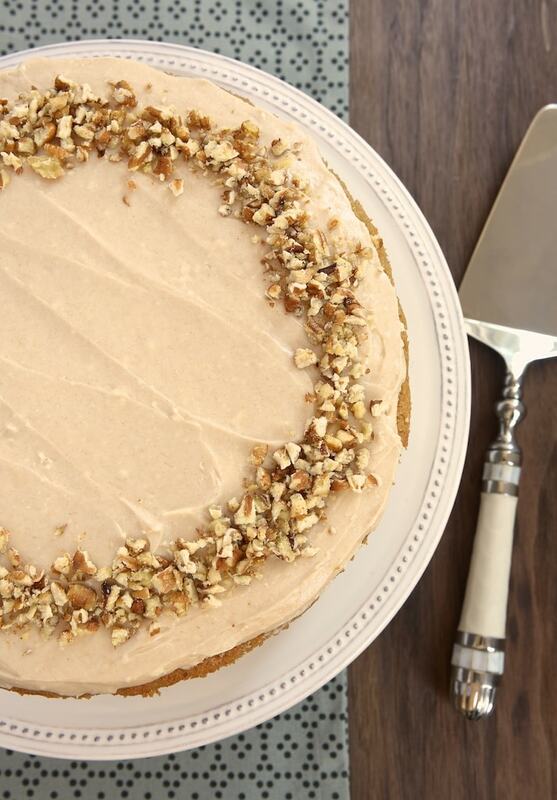 My favorite cakes to bake usually fall in the single layer category, and this Pecan Cake with Rum Frosting is a perfect example of how one single layer of cake can be just as gorgeous (and delicious!) 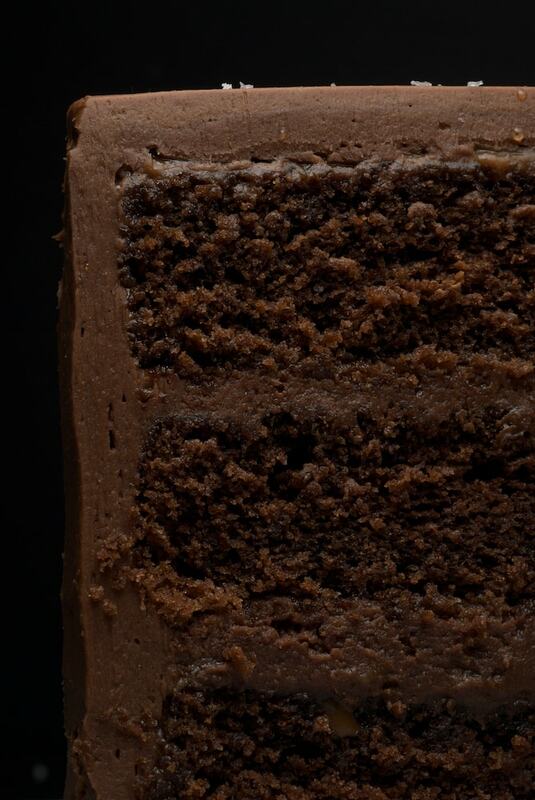 as a multi-layer cake. 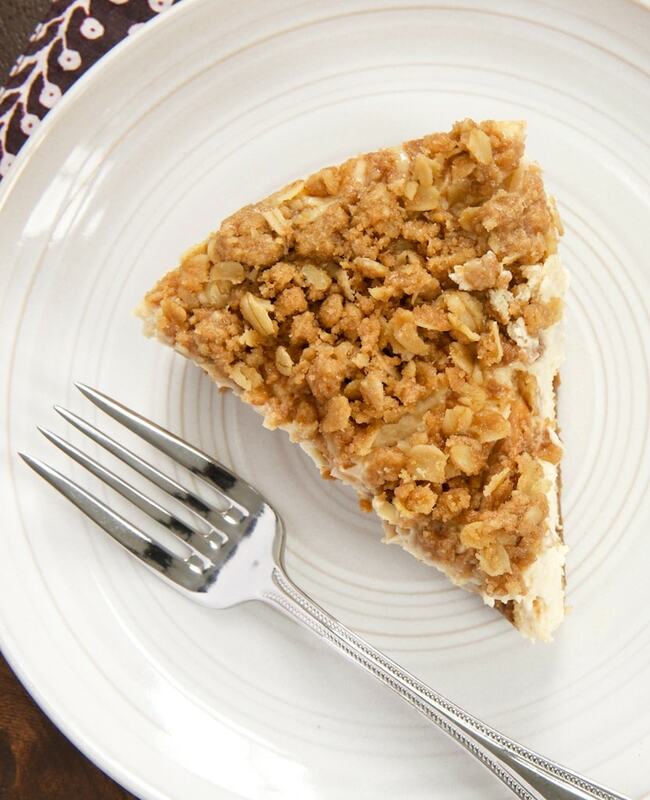 Pear Crisp Cheesecake is a wonderful combination of two great desserts. This sweet cheesecake is topped with a topping you might find on a fruit crisp. The two together are really just phenomenal! 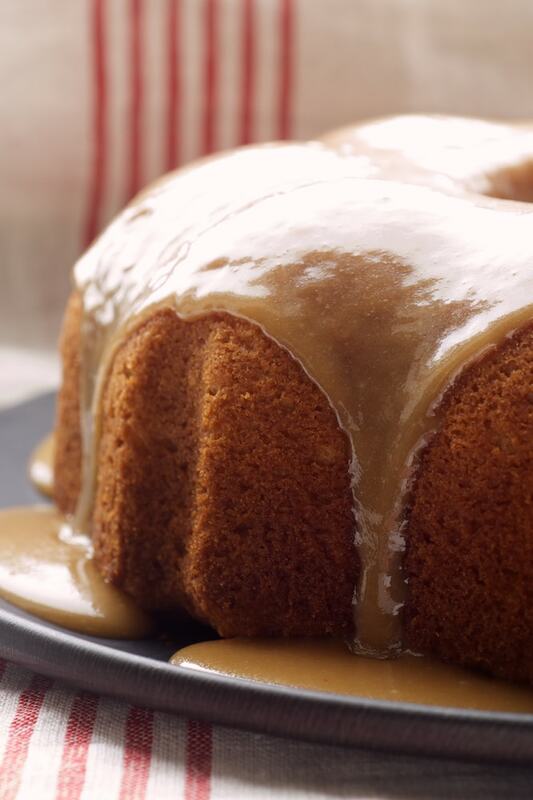 Caramel Bundt Cake is a simpler alternative to more traditional caramel cakes. 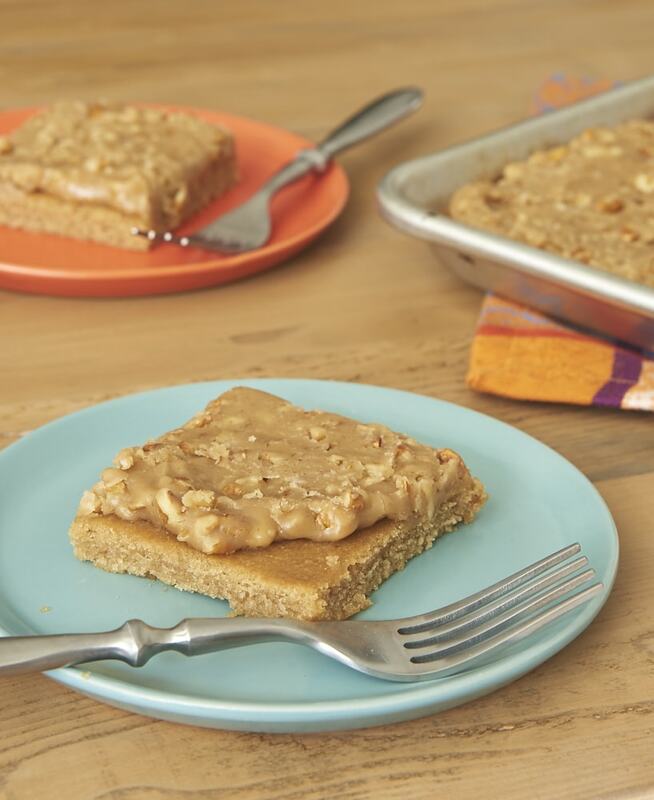 This one has great caramel flavor in an easier to make version. Feeding a crowd? This Praline Sheet Cake is made in a half sheet pan to give you lots of servings of this pecan delight. 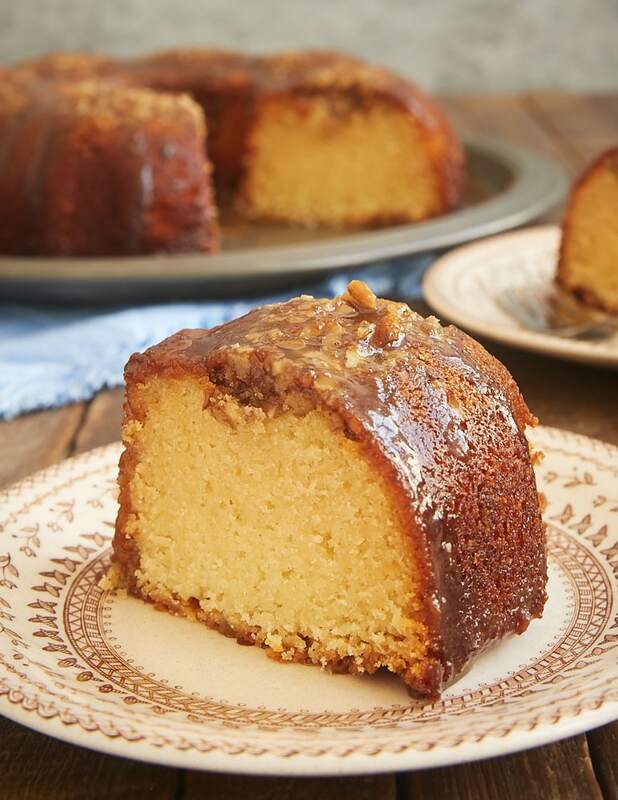 If I had to pick between traditional pecan pie and this Pecan Pie Bundt Cake, I really don’t know which I would pick. I’ll take the option where I can have a little slice of both! 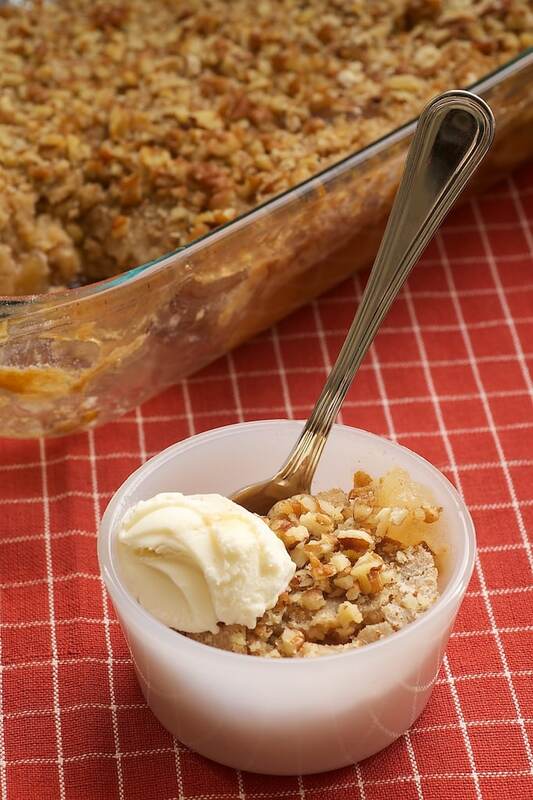 While I prefer to bake from scratch, I embrace the canned pie filling shortcut in this Apple Pecan Cobbler when I need dessert to come together quickly and easily. It’s a lot like those pie filling + cake mix cobblers, but so much better! 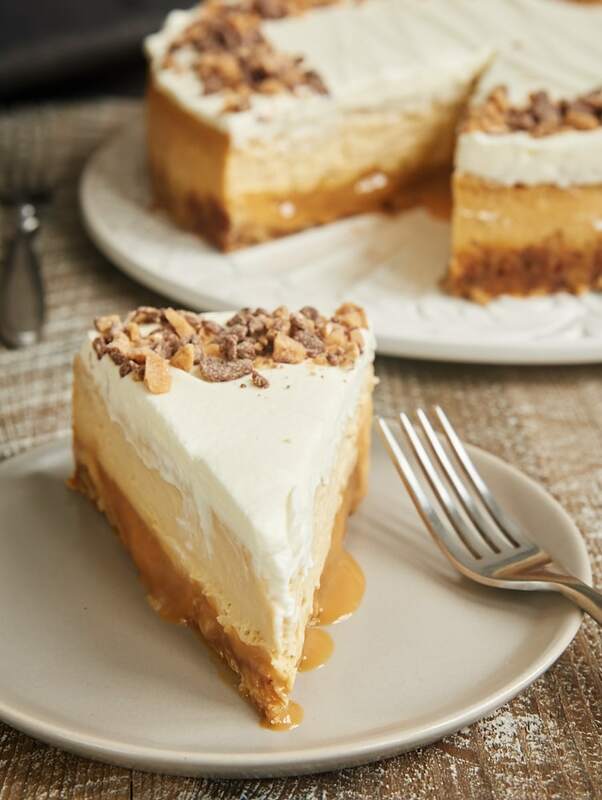 Pecan and Salted Caramel Cheesecake is a sweet and salty dream! 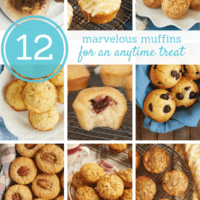 This one is sure to be a crowd-pleaser! 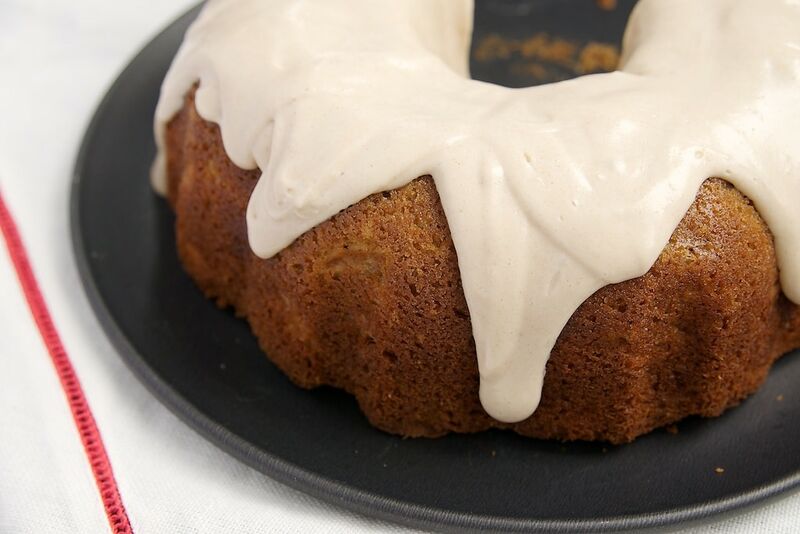 I absolutely adore the flavor combination in this Cinnamon Hazelnut Bundt Cake with Brown Butter Glaze. Give it a try if you’re looking for something other than the usual Thanksgiving fare. 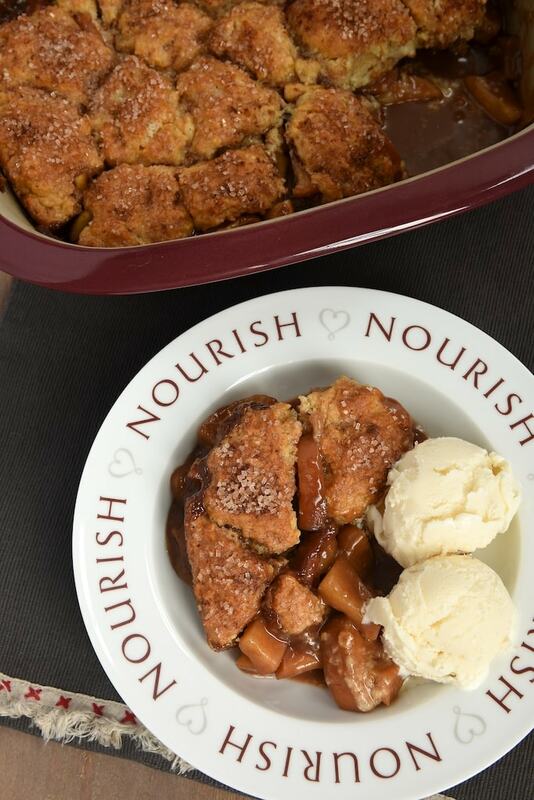 Autumn Spice Pear Cobbler is just what a fall dessert should be. The sweet pears combine with spices of the season for a fantastic fall favorite! As big, impressive desserts go, Sweet and Salty Cake is pretty hard to beat. If you love all things sweet and salty, this one is not to be missed! 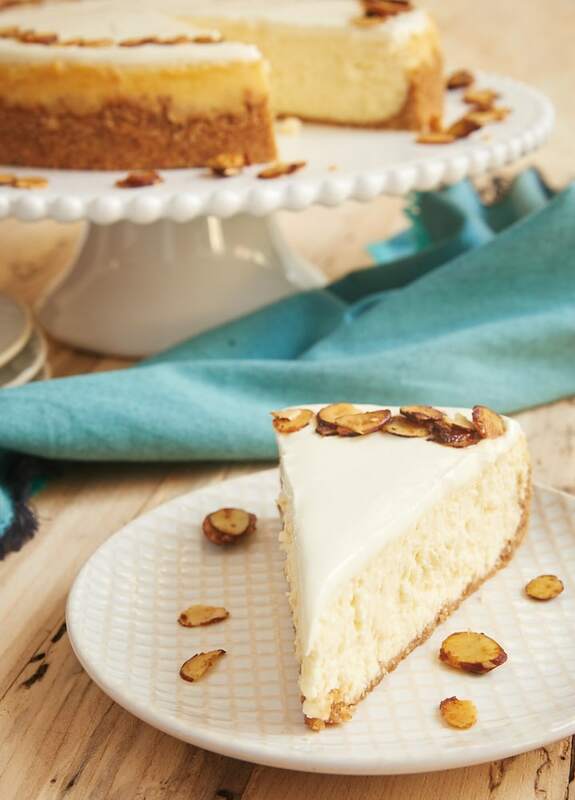 Amaretto Cheesecake celebrates the wonderful flavor of almonds in a big, delicious way. And that sour cream topping is outstanding! 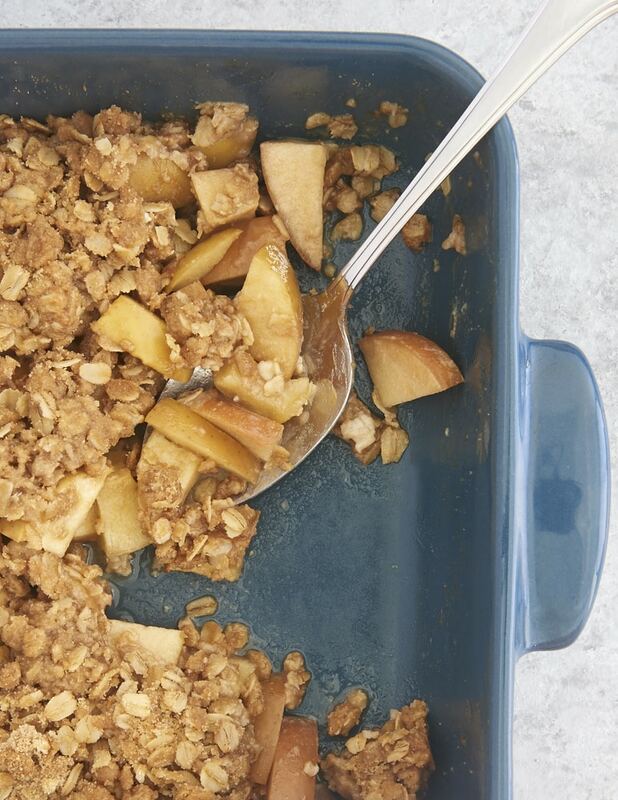 Apple Crisp may be the epitome of simple homemade desserts, but it’s just so good! Dress it up with a big scoop of ice cream and a little caramel sauce if you like. 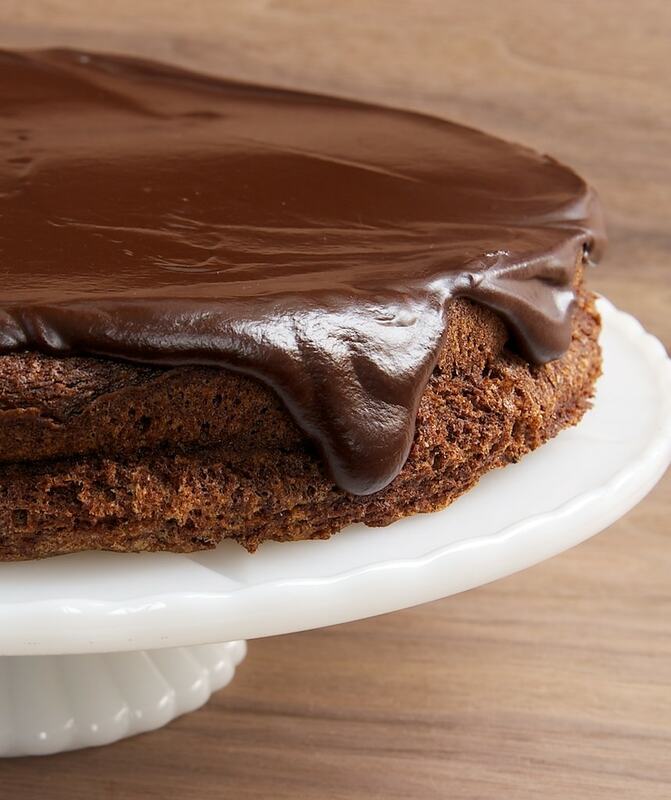 Flourless Chocolate Cake with Chocolate Ganache is an all-out chocolate experience with its rich, fudgy cake and thick ganache topping! I hope these recipe suggestions help you plan your best Thanksgiving yet! Do let me know what’s on your holiday dessert menu. And remember to tag me on Instagram if you make a recipe from BoB! Excellent, I like having a combination of the pies, cobblers, and bars. This way everyone has what they like. They are also great for leftovers. Thanks for all the wonderful ideas! Will try and pass on many soon. OMG why did I choose today to visit? There isn’t ONE of these desserts that’s not to die for good looking. 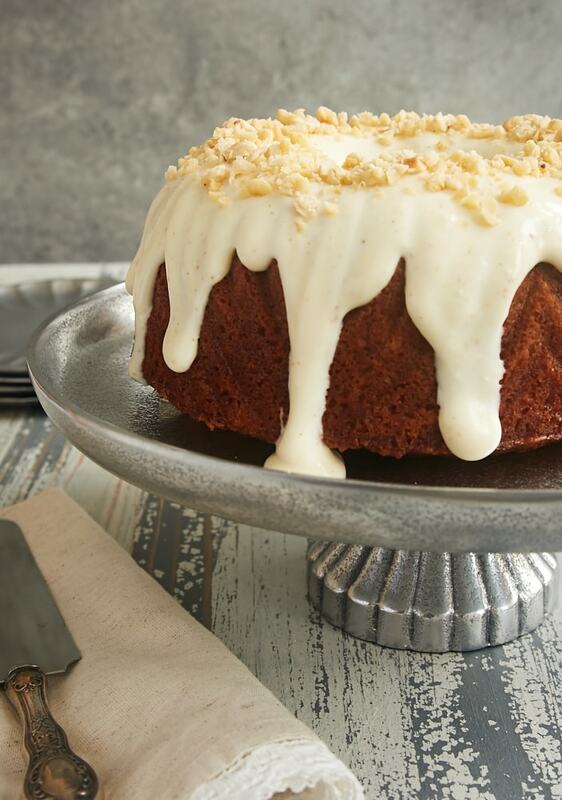 The pecan cake is screaming, “Make me first! !” but it’s so hard to decide. 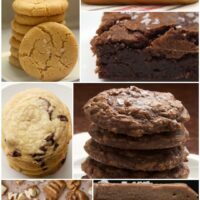 I really really really want a slice of each. Thanks so much for these; caramel is a food group. Even though I love the pies, I ‘m usually looking for something chocolate too. So the flourless chocolate cake has definitely gotten my attention! I like to have a chocolate option, too!